We love personalised goodies here at Babyology but I have to say that these amazing artworks take customising to a completely different level. 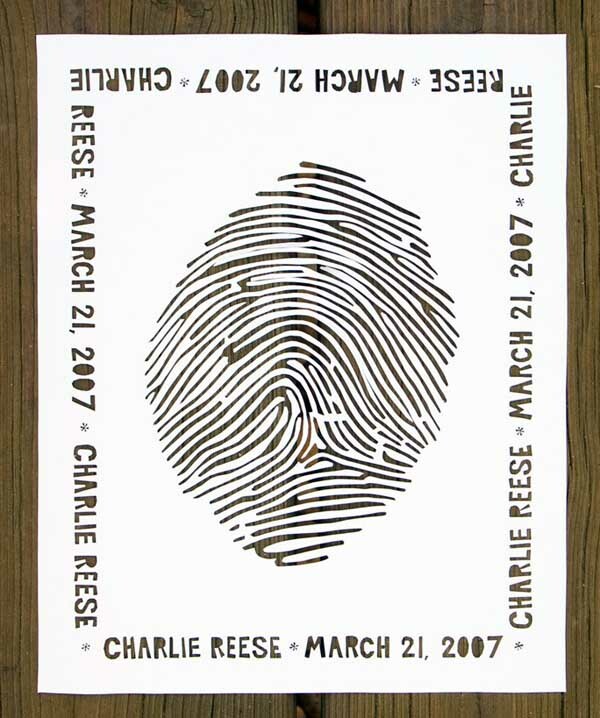 Lori Danelle ups the ante for personalised art pieces by lovingly recreating your child’s very own fingerprint for all to see. 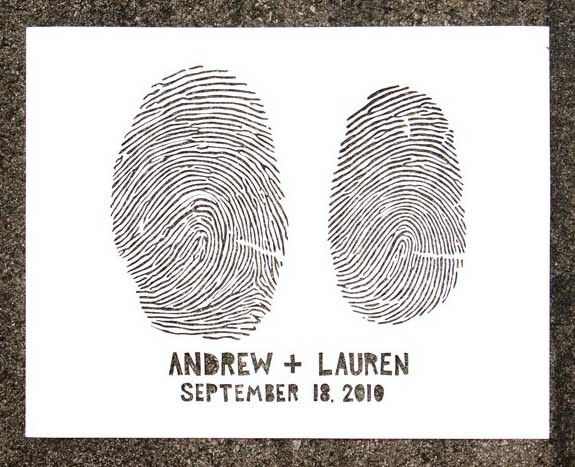 Lori will send you instructions on how to take an accurate fingerprint and upon receiving it, will wield her craft knife with surgical-like skill to construct a replica of your child’s very own Fingerprint Paper Cutting art piece. I can’t help but think what a fantastic, quirky display this could be – a family of prints gracing a hallway wall for visitors to stop and admire! You’re not limited to black paper either. Different colours are available if you’d prefer and you can even choose to have text or no text framing your print – it’s all up to you! For more details look to Lori Danelle‘s webshop. Prices start at US$150 and delivery to Australia is available.